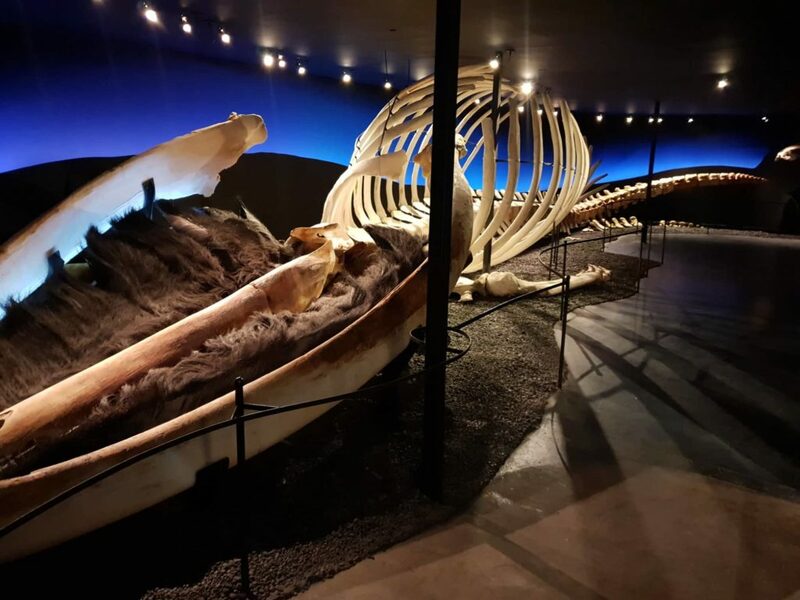 The Húsavík Whale Museum has over 8 exhibition rooms and is one of few museums in the world solely dedicated to whales. 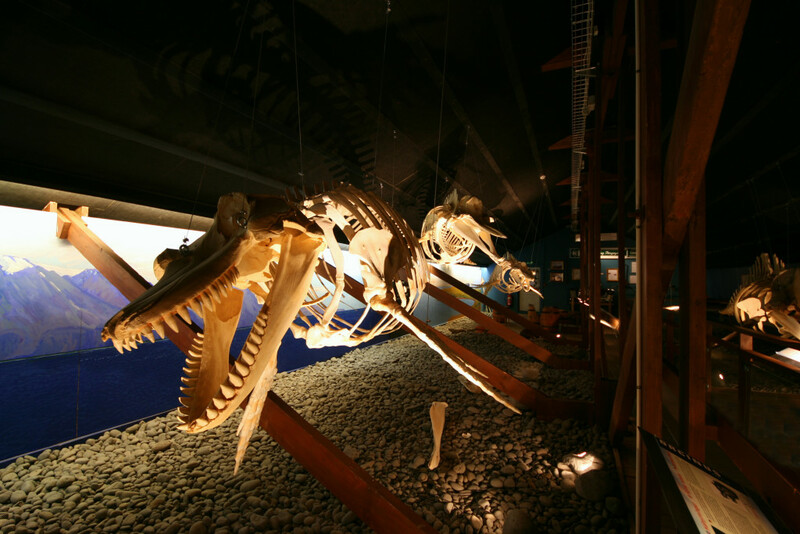 The Museum has 11 whale skeletons on display. All of the whales in the museum died of natural causes, except for the narwhal which was a gift from Greenland. The latest exhibitions in the museum, a skeleton of the largest mammal ever to have lived on the planet – the blue whale. The one in the museum is of a 25 m long female animal beached at Ásbúðir, Skagi in Northern Iceland 2010. There are only a handful of full size blue whale skeletons in the world. The only one in Iceland is on display in The Húsavík Whale Museum. Photos of blue whales in Skjálfandi Bay are taken by Christian Schmidt. A large map of the bay depicts blue whale sighting since 2017. The history of whaling in Iceland is young in comparison to other whaling histories, although, whaling around Iceland has been conducted for centuries. 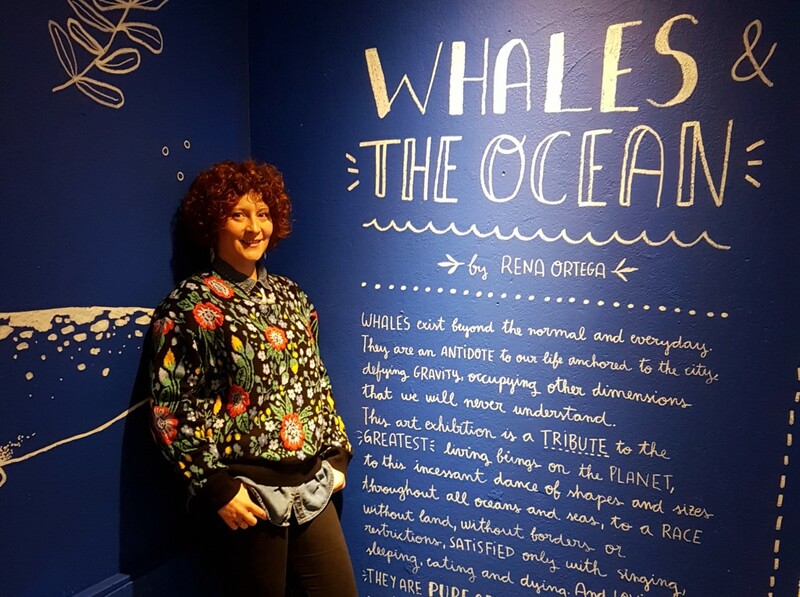 The Whaling History exhibition displays information on whaling around Iceland as well as the whaling history of the world. This art exhibition is a tribute to the greatest living beings on the planet, to their eternal dance of shapes and sizes throughout all oceans and seas, to a race without land, without borders or restrictions, satisfied only with singing, sleeping, eating and dying. They are more than animals, they are pure art. 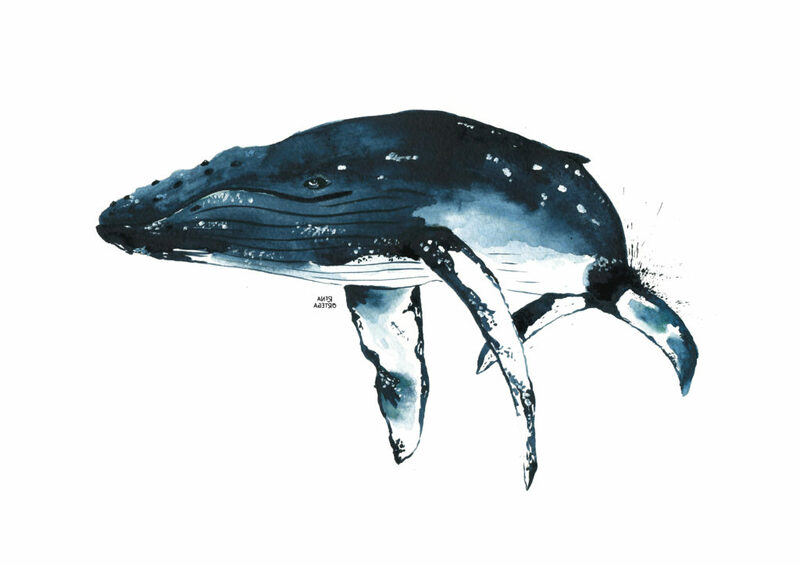 Renata Ortega is a illustrator, book and nature lover, explorer of the world; born near Barcelona, based in the world. Always inspired by nature, animals and travels to fill the world with colour and beautiful things, to bring something special to people´s lives through what she does. 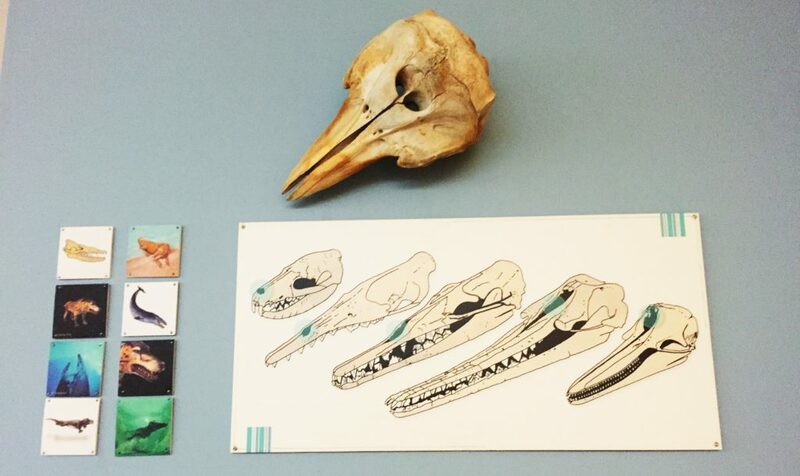 The evolution and biology exhibition explains how whales have evolved through time, how they live and behave. We are currently showing the documentary Giants Of The Deep in the big movie theatre on the 2nd floor of the museum. The sight of a humpback whale breaching and the sound of its melodious singing are unforgettable experiences. This film is a celebration of their remarkable beauty. The facts alone are remarkable. The behemoths of the sea cross the oceans obeying the rhythm of the seasons: summer is the season to feed, winter the season to breed. Their migration from feeding grounds to breeding grounds can extend over 10,000km, and once they get there they don’t need to feed for next 6 months. Testosterone-pumped males sing and fight for the females. On their return to the feeding grounds, they might feed up to a tonne of fish and krill per day. This uplifting, romantic, and perilous documentary is full of stunning photography, reminding us again of nature’s beauty, and its power. A short film about marine noise pollution and how we are silencing the voice of our oceans. Fish and marine mammals use sound to communicate, navigate and hunt. Whole marine ecosystems rely on acoustics to survive and thrive. But, with 90% of world trade being transported across our oceans, these ecosystems are losing their voice. The film was shot in Skjálfandi Bay in the summer of 2018. 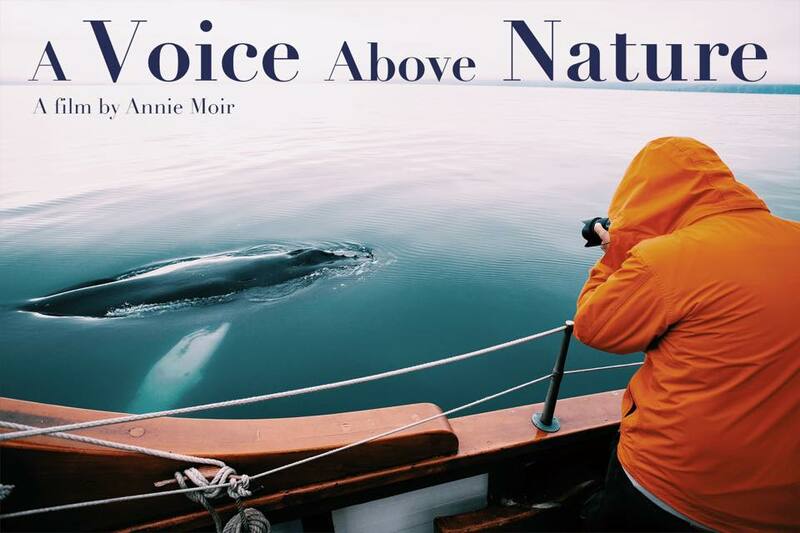 Watch A Voice Above Nature. A good pair of headphones is recommended.